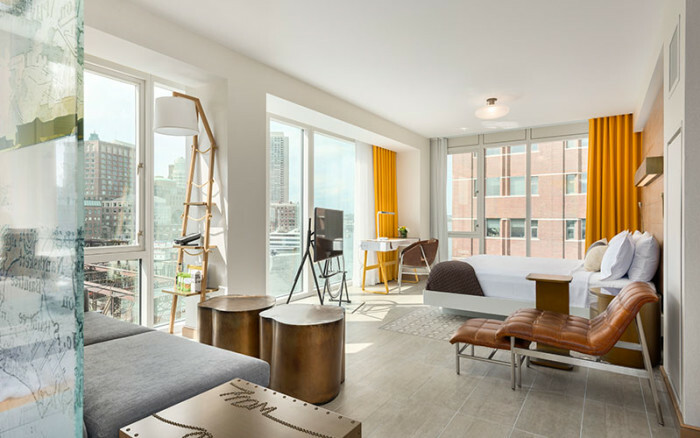 One of our latest projects, the Envoy Hotel in Boston’s Seaport district was recently featured in Boston Magazine. Royal Contract was commissioned by Group One Partners to manufacture contemporary lighting for all of the hotel’s 136 guestrooms and custom lighting for public spaces. We created innovative fixtures for the hotel’s Outlook Kitchen and Bar, including spectacular oversized illuminated rings and a starry night backdrop wall fixture.